Nestlé “Drumsticks” are synonymous with warm, sunny days. The sweet ice cream treats are distinguishable by their chocolate-and-nut candy “shell” that encapsulates ice cream atop a waffle cone and have been a sought-after treat by children for generations. 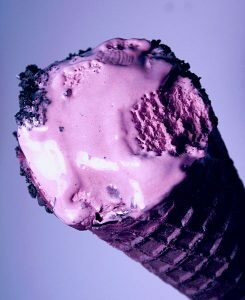 However, one of the production facilities used to create the Drumstick ice cream cone has tested positive for listeria. As a result, Nestlé has issued a voluntary recall for all Drumsticks that were part of the company’s Drumstick Club 16-Count variety pack and 24-count Vanilla Pack boxes manufactured between August 31, 2016 and September 17, 2016. In pregnant women, listeria can cause the woman to miscarry her child, deliver her child prematurely, and/or cause the newborn to develop an infection that can be serious and threaten the child’s life. Although normal, healthy adults rarely show signs or symptoms after being infected with the listeria bacteria, in some cases even these adults may experience fever and/or muscle aches. The listeria bacteria is often treated with antibiotics as needed. Tests and monitoring may be performed when the victim of listeria contamination is a pregnant woman to ensure that no complications develop in the unborn child. Otherwise, an infected adult who is not displaying any symptoms may not be prescribed any treatment or medication. Food producers (like other manufacturers of products) have an obligation to make sure the food they put out for consumption are free of dangerous bacteria and other contaminants. Because the average consumer does not have the means or resources to test every food item, the law creates legal liability for food manufacturers who allow contaminated food to enter the marketplace and reach consumers. While a recall does not absolve a food manufacturer of all liability, it may limit the manufacturer’s liability by taking the dangerous product off of the market and thereby limiting the amount of people that may become injured or infected. A voluntary recall simply means that the manufacturer has decided to recall the product of its own accord and not at the direction of the Food and Drug Administration (or other government agency). By contrast, an involuntary recall is one that the manufacturer is ordered to perform by a government agency. While a voluntary recall looks better for the manufacturer from a public relations standpoint and may result in the defective and dangerous product being removed from shelves and homes sooner, for the consumer a voluntary recall should be treated as seriously and adhered to with the same urgency as an involuntary recall.